Fall has arrived and that means it’s apple season! I love to cook with apples, especially tart granny smith apples. 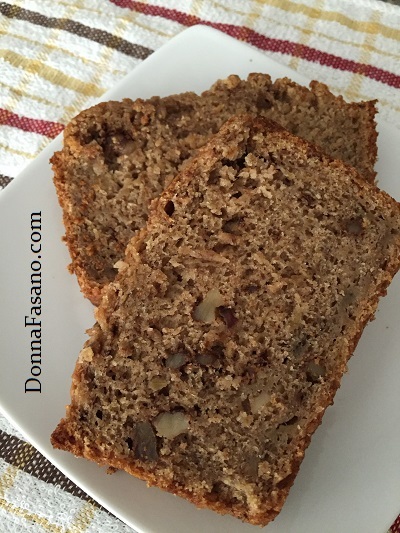 Here’s one of my favorite fall recipes. 1. Preheat over to 350°F. Prepare a loaf pan using non-stick spray. 2. Mix together dry ingredients: flour, baking powder, baking soda, salt, pumpkin pie spice, sugar. Stir until combined. 3. Add the banana to a food processor. Pulse to mash. Add the milk, molasses, oil, and vanilla to the processor bowl and process until smooth. 4. Pour the wet ingredients into the dry and stir until just combined. Add the apple and walnuts, stir just until evenly distributed. Do not over mix. 5. Pour batter into the loaf pan and bake for 55-65 minutes, or until a toothpick inserted in the center comes out clean. Let cool for a bit before removing from pan. What are some of your favorite apple recipes? One of my sweet romance that takes place in the autumn is MOUNTAIN LAUREL. 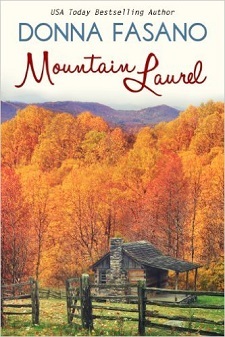 Laurel’s teen sister is going off the rails, so Laurel kidnaps her and takes her off to the mountains. Once she’s there, Laurel meets a gorgeous forest ranger who agrees to help her in a hair-brained scheme. Before it’s all over, Laurel’s heart is in jeopardy! I hope you’ll look for this lighthearted, fun read. About the author: Donna Fasano is a USA Today Bestselling Author of over 4 million books worldwide. Thank you for the recipe, Donna. It looks yummy! Happy fall to you! Happy fall! It's one of my favorite seasons. I love this time of the year. It just puts me in the mood to bake. I'd say my favorite apple recipe is apple pie. So good fresh from the oven. I love apple pie. I just baked 5 dozen cookies. There's nothing I like better than to be up to my elbows in flour. Looks delicious. Thanks for the recipe, Donna! You're welcome. Thank you for leaving a comment! Two of my favorite flavors together! I'm copying this one!! Thanks, Donna! Oh, I hope you enjoy it, Lyn! Apple cobbler with vanilla ice cream is one of my fav foods. Thank you for this recipe for Banana Apple Bread. Have you read it already?